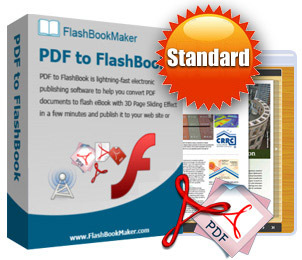 PDF to FlashBook Standard is lightning-fast page flipping software to help you convert ordinary PDF files into interactive, online page-turning FlipBooks with amazing 3D flipping pages with animations and sound! with PDF to FlashBook standard, you can easy generate cool digital booklet with page turning effect without any programming work! Once you've created your Flash eBook with PDF to FlashBook Standard, you can publish to the web instantly, or send out via Email, and even distribute on CD-ROM, all without paying royalties! 2. Output in 4 different formats: HTML, EXE, Zip and Burn to CD. HTML allows you to upload to a website to be viewed online. EXE and Zip allow you to send to your user by email to be viewed on their computer. 3. Add watermarks text, image, dynamic date/ time etc to page-flipping eBooks. 4. Effect Preview in Real Time. 5. Provide multiple templates with previewing effects instantly. 6. User Define Language available. 7. Add encryption to protect created page‐flipping eBooks. 8. Add and edit bookmark. 9. Set eBook title and margin manually. 10. Define flash window and page background color. 11. 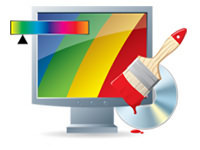 Define Flash background image and color. 12. Email and social media sharing. 13. Show thumbnails at the very beginning with defining background color. 14. Enable full screen and zoom in. 15. Allow view from right to left. 16. Auto and loop play slides from the very beginning. 17. Insert background music either for continuous play (loop) or for a set duration. 18. Export and save settings for future uses. 19. Set title, keywords and description for HTML eBooks. 21. Google Analytics code integration. 22. Live hyperlinks within your flash flip book or to a website. 22. Print your document directly from within the e-book. 23. Download directly from the web. 1. Cool Page flipping animations Effect with viewing two pages together all the time. 2. Click thumbnail to navigate page. 3. Play your Flash eBook pages automatically. 4. View photo eBook repeatedly. 5. Click page shadows arrow to turn a page. 6. Pre-load important pages to open eBook quickly, no need to wait for all pages loaded. 7. Customize button to control page, such as Previous, Next, First, Last etc. 8. View your your Flash eBook full screen. 10. Open or close page-turning sound. PDF to FlashBook Standard allows you convert PDF native page turning electronic publications such as flash flip books, flipping brochures, flipbook magazine, and flipbook albums and much more fast and easy. With PDF to FlashBook Standard, you can convert PDF to page flip magazine is as simple as clicking buttons. You'll get the conversion result in minutes. The created flip book can be published from your Web server / hosting (url), burned to a CD/DVD - USB stick or embedded into e-mail for fast, effortless, and eco-friendly distribution, and the readers will be able to open your flip page publication in any environment (PC, Mac, iPhone, iPad, Android, or Windows Mobile), and you can even publish at your Facebook page. PDF to FlashBook standard create Flash flip pagesfrom PDF files and will retain the hyperlinks, Users can click the hyperlinks. The Bookmarks can be added by you when editing the flipping book or it can be converted from PDF bookmark. They unique indexing methods and search algorithms enable quick and easy online searching. Analyze, monitor traffic in a new way, improve ads and get more detailed information for better planning. The code of Google Analytics can be embedded to each book and all statistics will be available from your Google Analytics account live. Create, design, control and increase your marketing effectiveness using Google Analytics within the publications. Integrate access to your favourite social media platforms like Twitter, FaceBook and LinkedIn to your online Flash Flip Book, encouraging deeper engagement across your social networks. PDF to FlashBook standard enables you to create your own style flash catalogs with provided various options. You can add unique colors and special effects, you can choose image from your computer to insert as background image directly; you can add passwords to prevent unexpected accessing; You may customize the e-publications with personalized welcome text, logo, background image, music, videos, specific colors, internal and external links, and more for a corporate branding. There are dozens of settings to fulfill your requirements and help you to form your style page-sliding eBook. Upgrades are always free. Once you have purchased the software, you can use it forever. We keep the right to raise price for later versions, but you do not need to pay one cent for upgrading. We believe our software is exceptional value and work very hard to make sure this remains true. If you are dissatisfied with our service for any reason, you will receive a full refund. 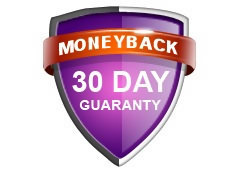 Just request a refund by emailing us at support@flashbookmaker.com.